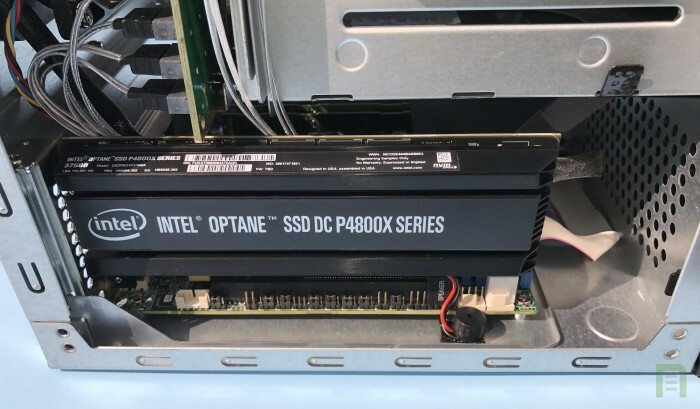 World's First Close Look at Intel Optane SSD DC P4800X Series - PCIe NVMe arrives with 375GB of 3D XPoint! 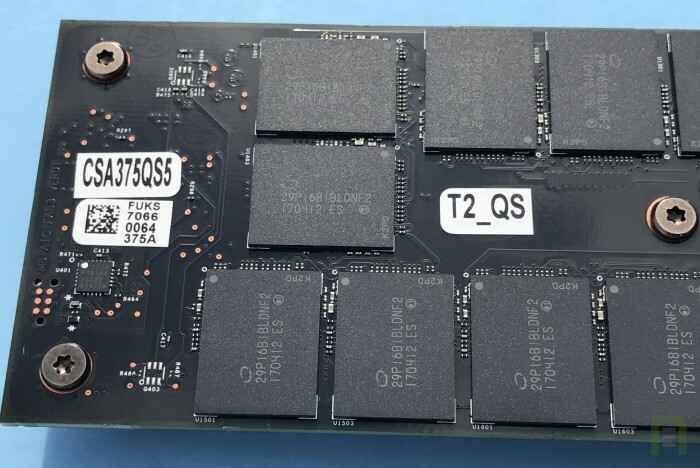 This SSD is on a temporary loan from Intel, and it appears to be an engineering sample, in the 375GB size that is planned for product launch. This loaner was made with no formal expectations or stipulations, just a brief chance to TinkerTry this datacenter technology in my own VMware vSphere home lab, in line with this site's tagline - TinkerTry IT @ home. Efficient virtualization, storage, backup, and more. 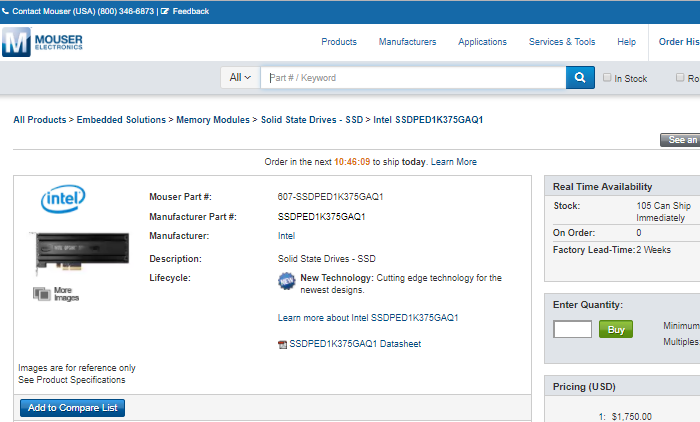 The loaner P4800X was returned to Intel in October 2017. Such an opportunity doesn't come along often. If you've followed TinkerTry for a while, you'll know that I'm always happy to get my hands on something new, such as the world's first Intel Xeon D-1541 and Xeon D-1567 SuperServers, and the very first SYS-E300-8D and SYS-E200-8D SuperServers. 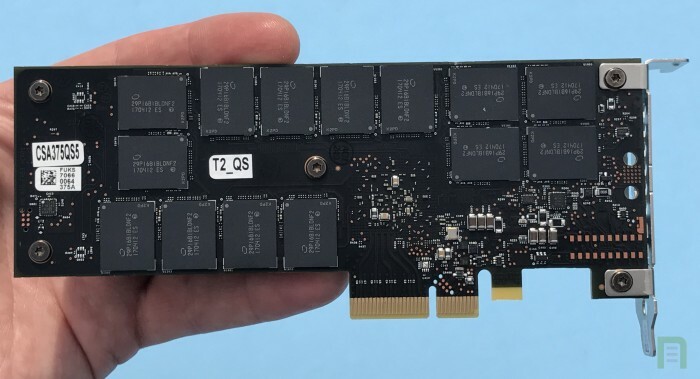 I was even lucky enough to get a look at the early days of PCIe NVMe heralded by the Intel 750 Series back in 2015. I'm very glad to have this chance to tinker with new tech, again! I can't wait to make some rough measurements of power use in watts, at idle and under load, using with my Ubiquiti mPower Pro power strip. Not as fancy or precise as PC Perspective's measurement rig, but a good start. I also plan check out temperatures using my FLIR ONE Thermal Imaging camera. I want to have a look at the driver install under VMware and under Windows Server 2016. 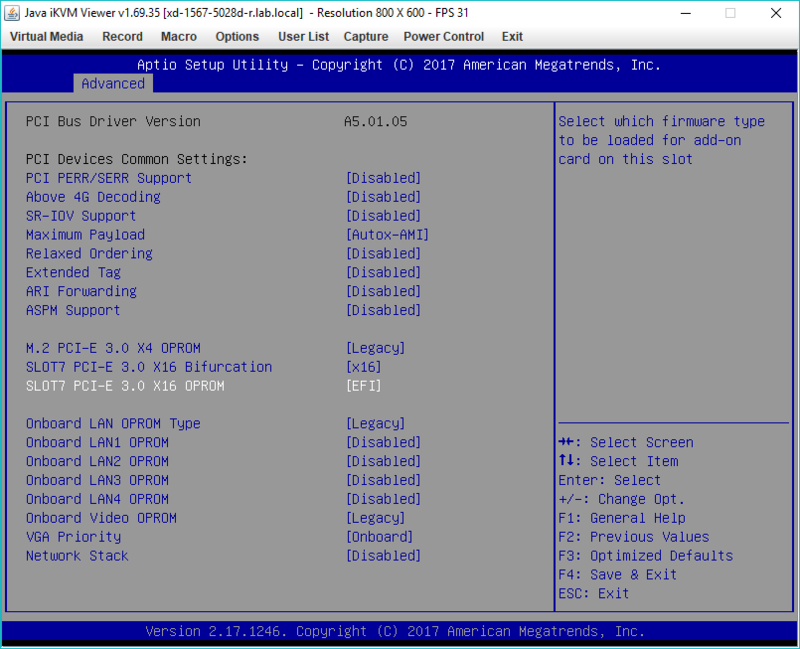 I hope to look at general VMFS performance characteristics when used with VMware ESXi 6.5 Update 1. I plan to update this article when I have those measurements. Note that there is likely to be a more consumer focused version of this product coming soon, featuring both a lower price and an appropriate warranty policy. You may recall that Intel's DC S3700 Series (DC for DataCenter) was followed up by the Intel 750 Series aimed at enthusiasts/consumers. It appears some BIOS updates and/or UEFI settings changes may be needed to (hopefully) allow this Optane drive to become "visible" to VMware ESXi in my Xeon D server. I've loaded up the Intel NVMe driver labeled for use with the P4800X, but I'm only able to check the firmware, not VMFS format the drive. 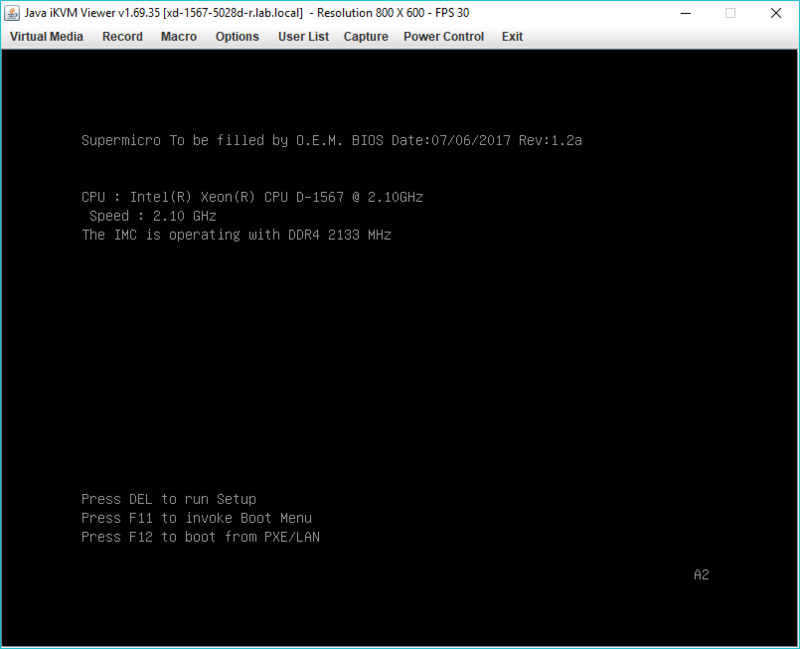 Note, Supermicro makes no claims this particular drive has been tested for compatibility at a hardware or software level. I can't make any promises, but I also don't give up easily. Stay tuned to TinkerTry for more updates as they happen. 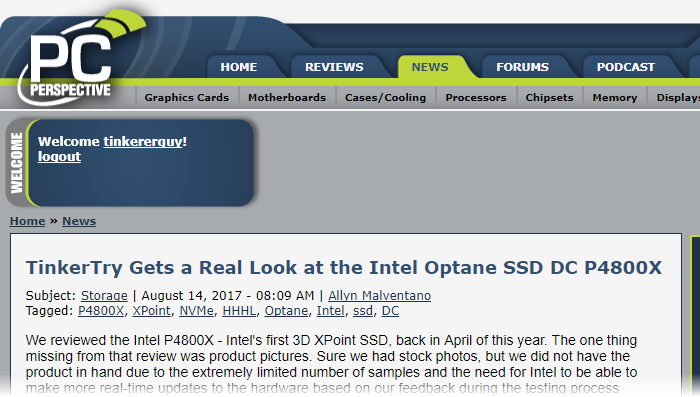 Meanwhile, you'll find a short unboxing video, pictures, and lot more information about 3D XPoint in the set of articles listed below. If time permits, I hope to also try a nested environment of ESXi 6.5 Update 1 running vSAN 6.6.1, we'll see. If you're in possession of a new server that has been fully tested for P4800X compatibility, such as the new Intel Xeon Scalable Processor family of systems, you can be assured of compatibility, and can now pre-order the P4800X on Amazon, with ship dates currently showing August 12-17. I'm a bit skeptical though, as that listing also says "Date first available at Amazon.com" as May 19 2017. I am not seeing other major sites taking pre-orders just yet. Sep 01 2017 Update - It seems mouser.com has them in stock, see details below. 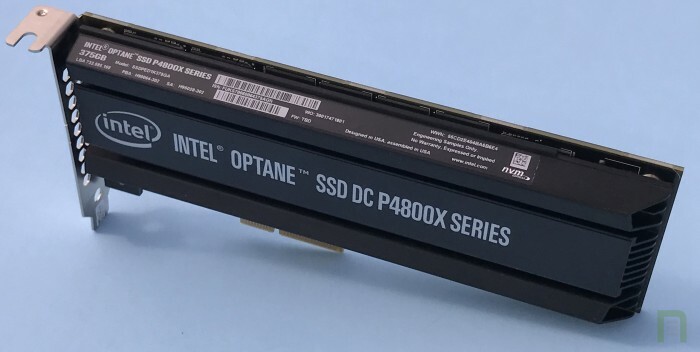 World's First Close Look at Intel Optane SSD DC P4800X Series. I'm beginning to make some progress by skipping VMware testing for now, and cutting over to Windows Server 2016. BIOS is in UEFI mode, at these Recommended Settings, as mentioned in my Nov 05 2015 article about booting from NVMe. I managed to get past the BIOS configuration issues that caused POST to hang on A9, will document details later. 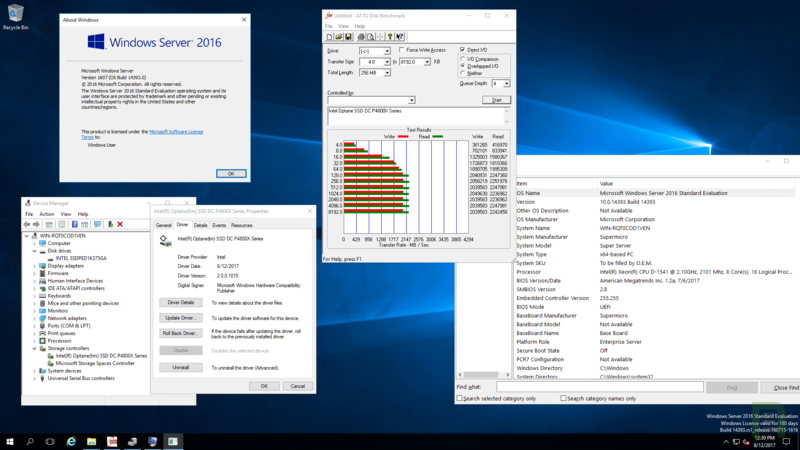 This allowed me to do a quick test of the P4800X under Windows Server 2016, with more testing to follow. Things are going well. I now have some informal ATTO Disk Benchmarks to share. All these informative windows were brought up after the initial ATTO Disk Benchmark, subsequent tests showed consistently impressive results, whether the network adapters were disabled or not. I had to wait for all Windows Updates to finish, and made sure CPU was at or below 1% utilization before each run. More tools and tests results coming soon. Below are some informal looks at performance, with nowhere near the complexity and stringent documentation required of proper, official benchmarks, as detailed by Intel here, for example. These are consumer tools run on an enterprise drive, with things like HCIBench and Iometer really more appropriate for such a product, which are a little more error prone and time consuming. Tests with shipping product may differ from what is seen here. 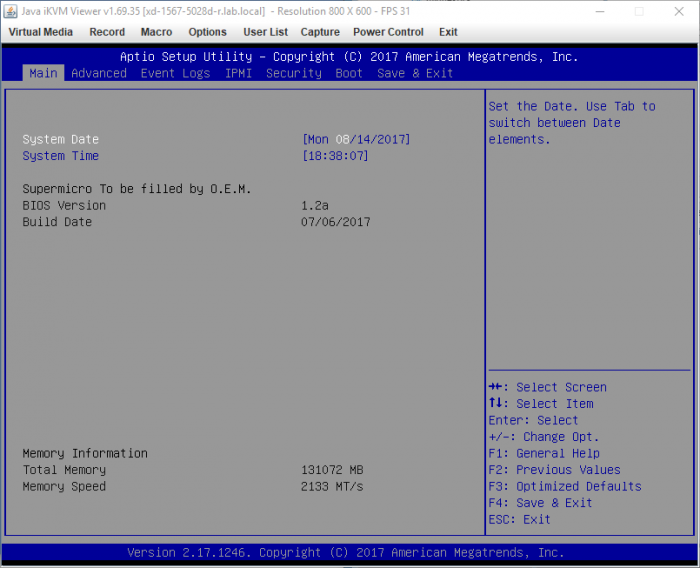 Boot from NVMe configured, I wrote more about this back in November of 2015, when it was less common, and a bit harder to do. 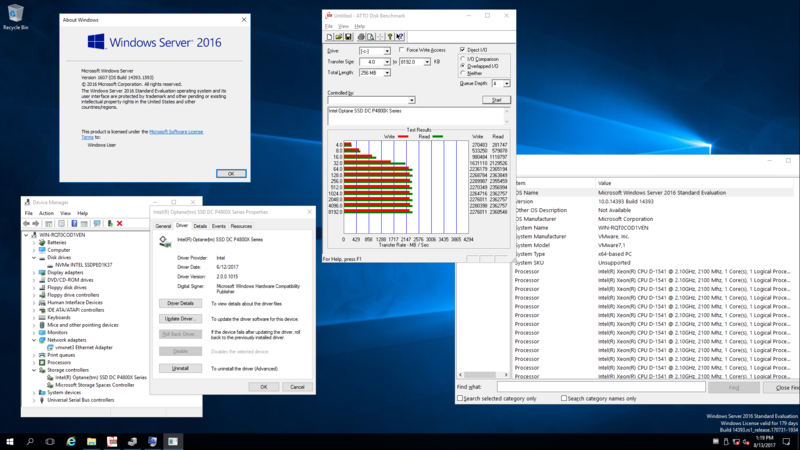 Test A - Windows Server 2016 installed on Optane P4800X. 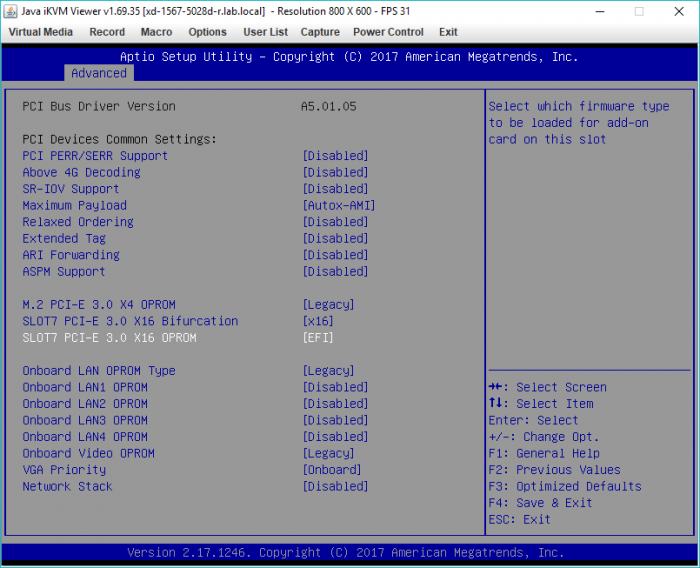 BIOS set to UEFI type. 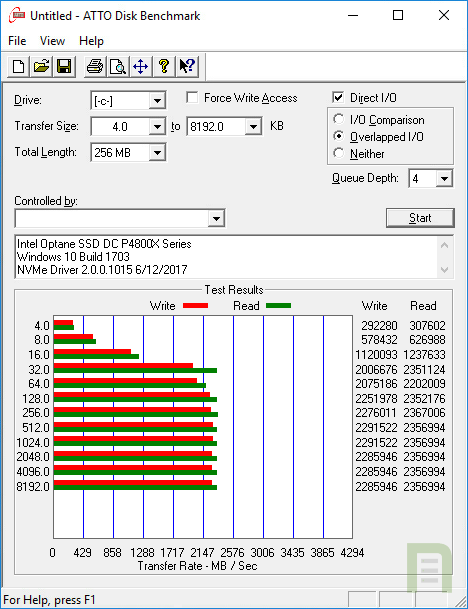 Test B - Windows Server 2016 installed on Optane P4800X, passed through to a VM running under ESXi 6.5 Update 1. 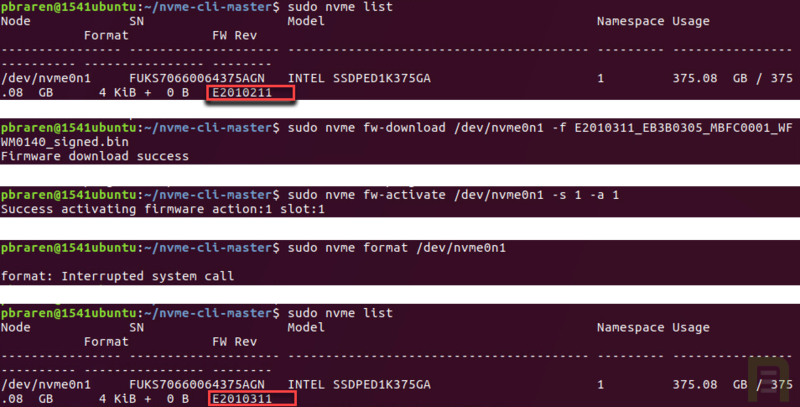 The subtle but big news above is about my first success ever in getting NVMe passthrough working so darn easily, with no need to resort to RDM mapping trickery. 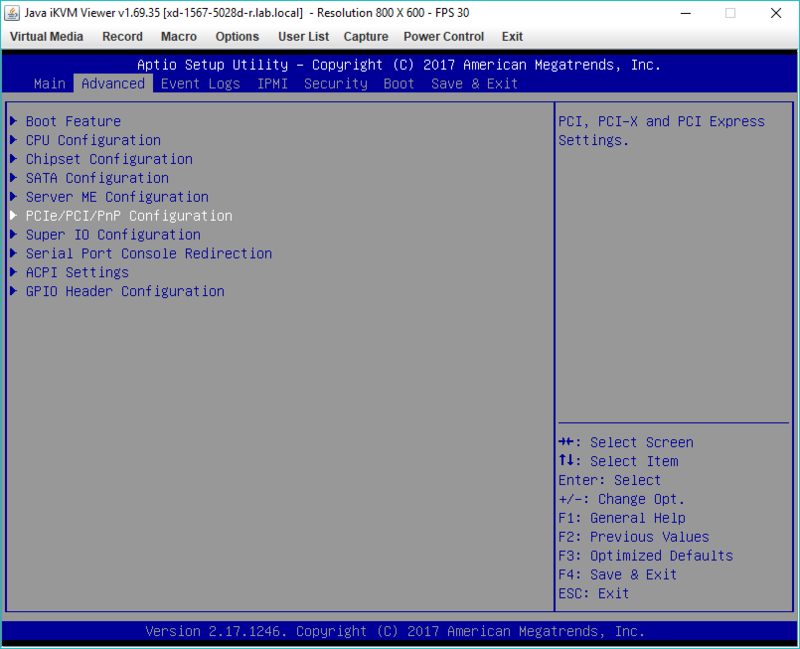 This is awesome, and seems to have arrived with July's mature release of ESXi 6.5 called Update 1. 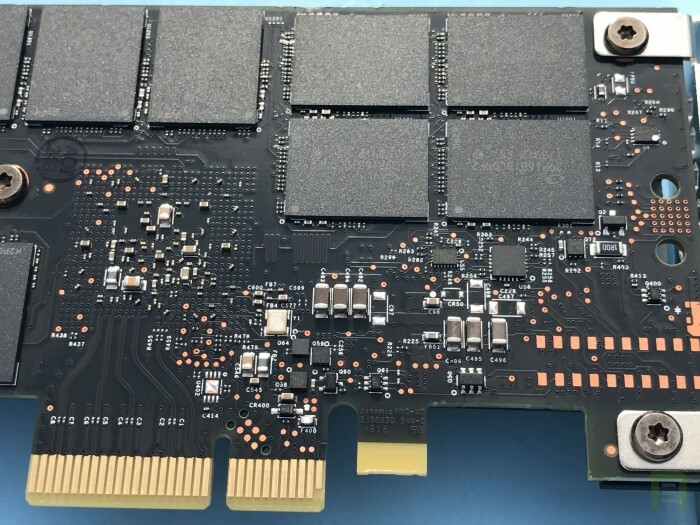 There is so much left to test, including Intel SSD Data Center Tool, along with any newer than VMware VIB (driver) bundles I can find that include this DC P4800X SSD. It appears Version 1.2.1.15 Release Date 2017-04-14 just isn't working. 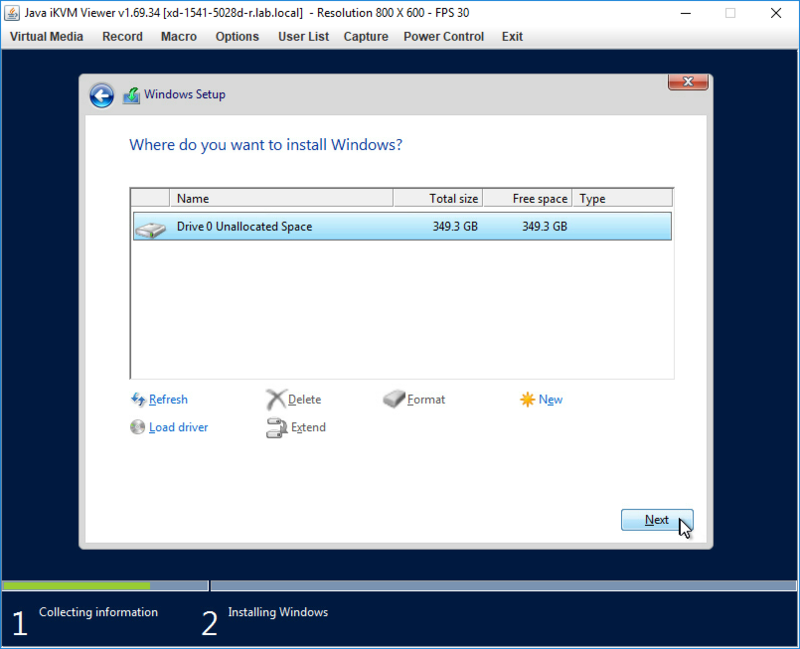 I really want to know how well the P4800X handles multiple VMs concurrently, on one VMFS datastore. My current use of passthrough is an extremely limiting use-case, benefitting only one of my many VMs. Any passthrough prevents the fun stuff in VMware vSphere, such as vMotion, and hot add/removes of devices from the VM, and nearly instant snapshots that allow easy time-warp (roll-back) right after messing around with the VM itself. 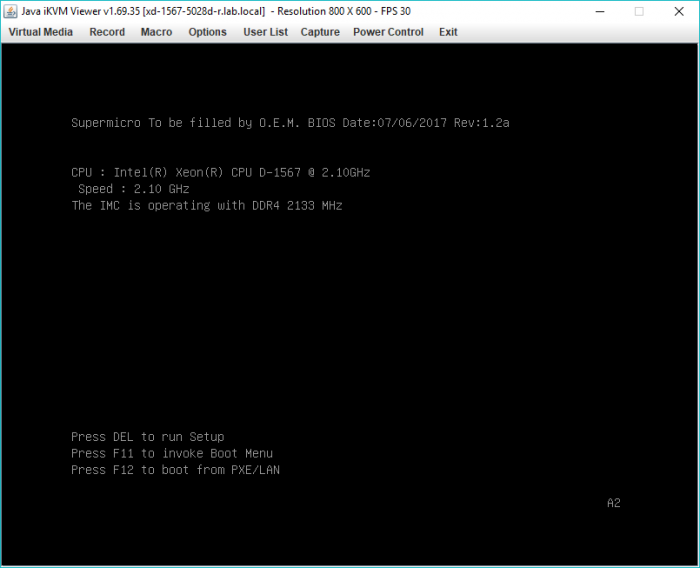 These screenshots are from my SYS-5028D-TN4T Xeon D-1541 system with BIOS 1.2a. The problem is that you can't get back into the BIOS configuration again, not without temporarily removing the P4800X first. I've added this to my list of known-issues with BIOS 1.2a here. When powering on the sytem, get ready to press "Del" at the right moment. On the Main tab, right-arrow to the Advanced tab. Change SLOT7 PCI-E from Legacy to EFI. Press "F4" to Save Changes and Exit, which kicks off a reboot, your P4800X should now be available as bootable storage for whatever modern OS you choose. 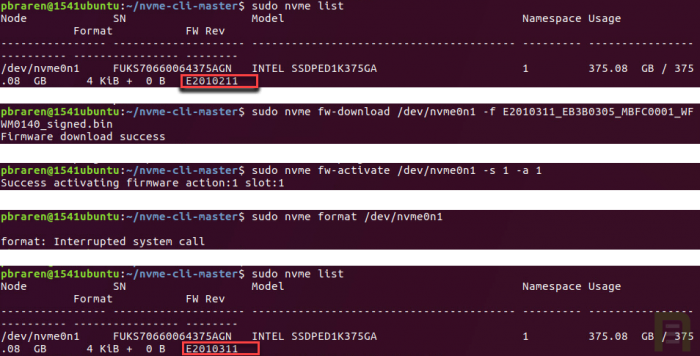 [root@xd-1541-5028d:~] esxcli nvme device get -A vmhba1 | egrep "Serial Number|Model Number|Firmware Revision"
I now have CrystalDiskMark 5.2.2 x64 results to share. CrystalDiskMark 5.2.2 x64 results for the P4800X, when using Windows Server 2016 Standard Desktop Experience installed on the same Xeon D-1541 test system. 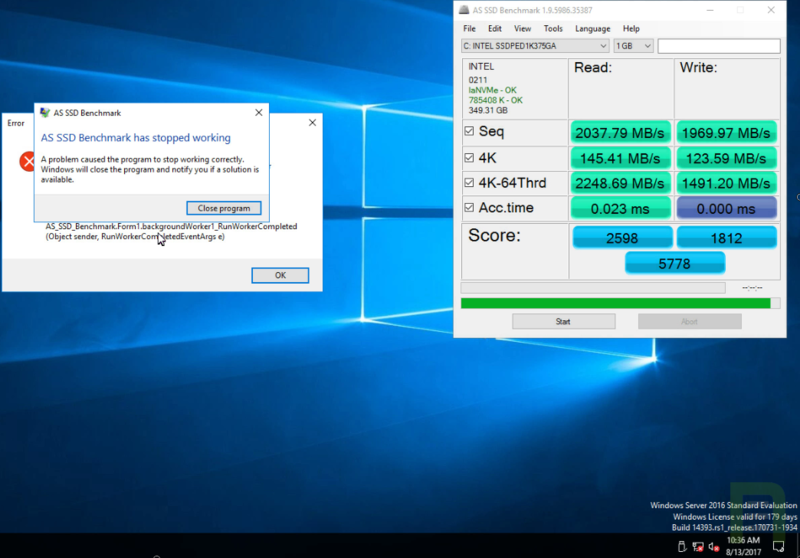 I also have an attempt at getting full results for AS SSD Benchmark 1.9.586.35387 running to share. 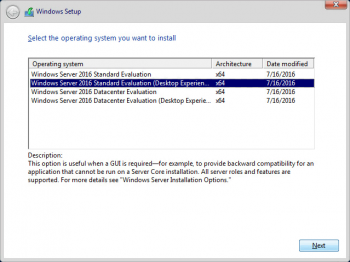 Issue with getting AS SSD Benchmark 1.9.586.35387 to complete its tests on Windows Server 2016, same issue on subsequent tests too. 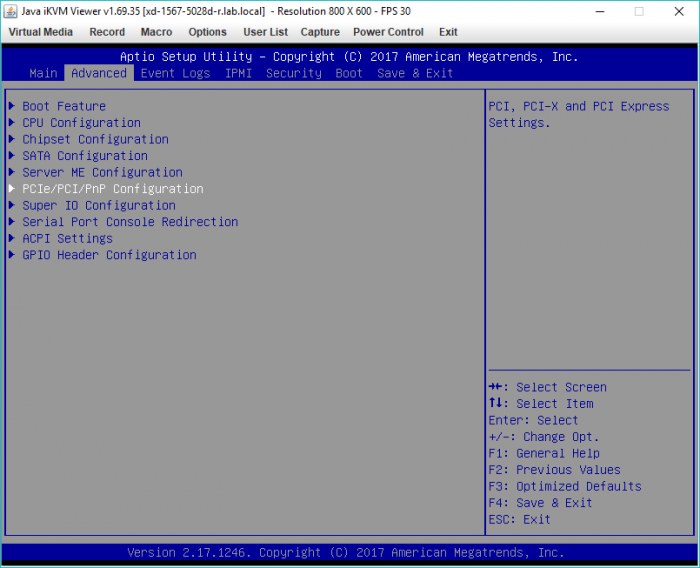 I've been provided with a new firmware to test out, hoping for better results when trying to VMFS format the P4800X, will keep you posted, right here in this article. Click the image to hear the audio, with playback controls. 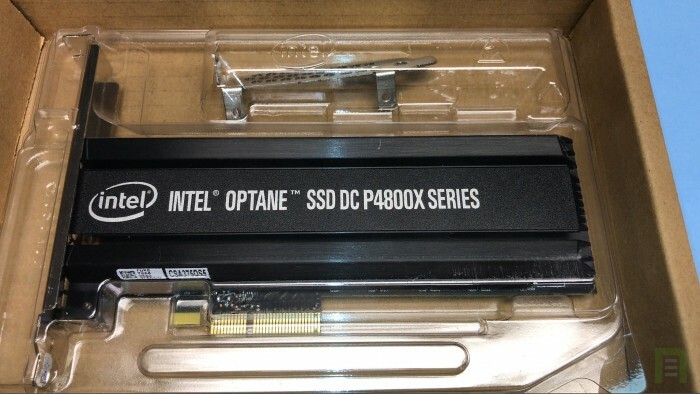 ...I've talked with Paul over at TinkerTry a couple of times...and he managed to get his hands on Optane P4800X and I'm kind of jealous, cuz we don't have one, none of the review sites have one. However, Paul works for VMware, and you know VMware is kind of high on the priority list of where INtel is going to ship some of the first engineering samples of this product, for them to be able to code their tools and make the tools work properly with it...one of the big ideas with Optane is for it to be able to accelerate enterprise applications...a large one of which being ESX[i] Server for VMware...Paul got to have his, get his little grubby hands on one of these things, play around and install it on the system...he didn't do extensive testing because I think he's kind of leaving that for the reviewers which we already did a review of this, we just didn't have it in hand, cool to see what it looks like. Queued to the right spot, "PC Perspective Podcast #463 - 08/17/17"
Ongoing issues with getting the firmware updated have inhibited progress on testing this as a VMFS and/or vSAN datastore. using Ubuntu 17 on my Xeon D-1541 system. This also meant I was able to update my firmware to an unreleased test version, but I was unable to finish the required format procedure afterward. 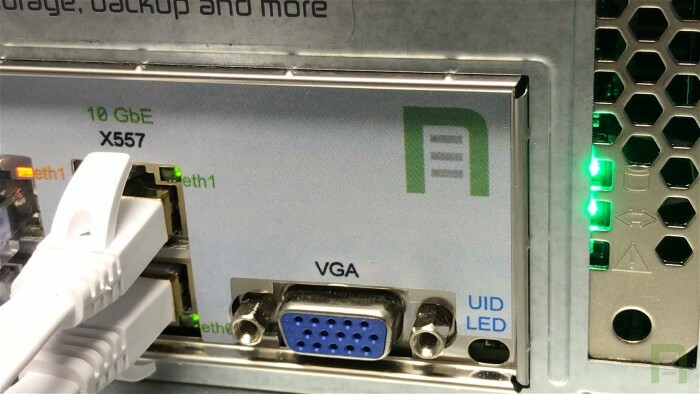 Unfortunately, no progress on visibility of this device under ESXi 6.5U1 to report. Excerpt from page 3 of the Product Brief. Unlike Amazon, where the ship date seems to keep getting changed to the future, here's a site that says they have 105 of the P4800X in stock as of Sep 01 2017, with pricing and availability subject to change, of course. 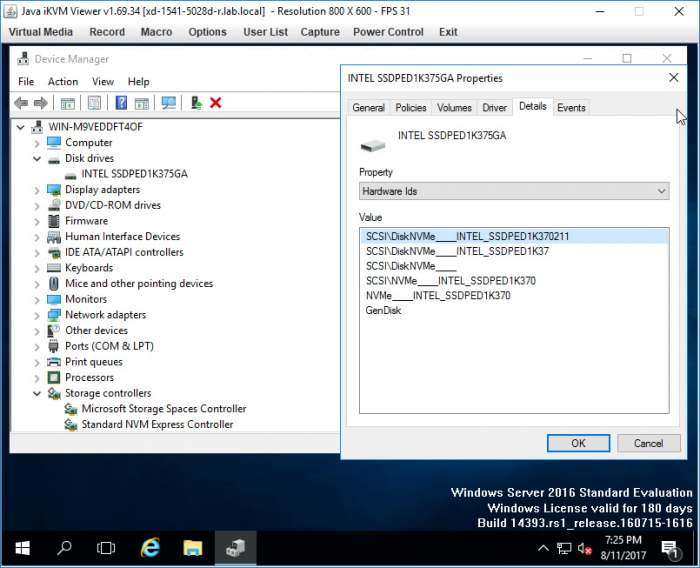 then install and use it, to do an nvme format. 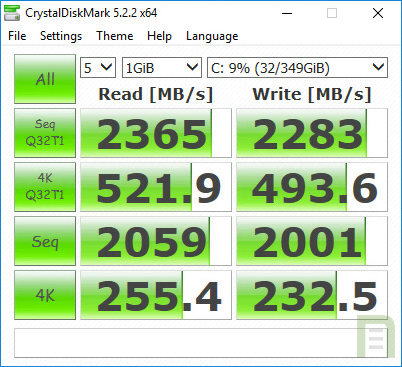 I have ATTO Disk Benchmark results to share. Today was a big announcement day for both Intel and VMware. 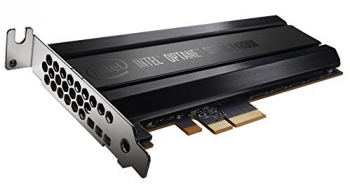 But before I leave you wondering any longer, yes, those big claims assume Intel Optane / 3D XPoint Inside. 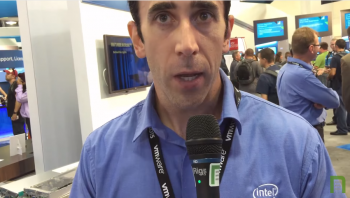 Intel's Ken LeTourneau and I discuss SSDs and the vSAN qualification process.